Launched in 2000, TrainingForClimbing.com is the original—and most visited—climbing performance Web site. 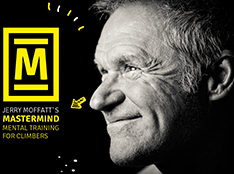 This site is owned and edited by Eric J. Hörst (pronounced “Hurst”), an internationally renowned author, researcher, climbing coach, and accomplished climber of more than 40 years. A student and teacher of climbing performance, Eric has coached hundreds of climbers, and his training books and concepts have spread to climbers in more than 50 countries. 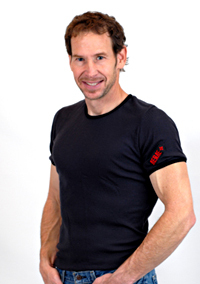 He is widely recognized for his innovative training techniques and equipment, and he has been a training products design consultant and Training Center editor for Nicros, Inc. since 1994. Eric is author of eight books (with many foreign translations) with worldwide sales of over 360,000 copies. 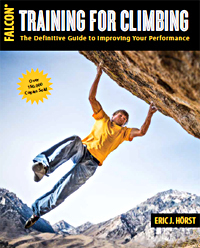 His best-selling book Training For Climbing, now in its third edition, has sold more than 160,000 copies, and it is used by climbers around the world to help guide their training. 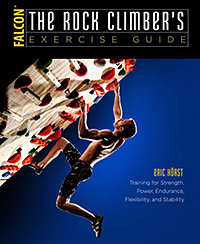 Eric’s other popular texts include Maximum Climbing, The Rock Climber’s Exercise Guide, How to Climb 5.12, and the gym climbing book Learning to Climb Indoors. 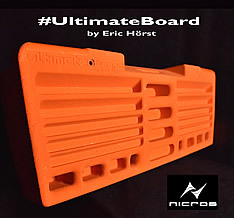 Eric has written hundreds of magazine articles, appeared on numerous TV broadcasts, and his techniques and photos have appeared in many publications including Rock & Ice, Climbing, Outside, DeadPoint, Men’s Health, Fortune, Men’s Journal, Muscle Media, Muscle & Fitness, Paddler, Urban Climber, Parents, Wall Street Journal, Experience Life, Outdoor 4X, and National Geographic Adventure, as well as European magazines such as Desnivel, Alpen, Climax, and Climber. He has co-authored one research paper (“Behavior Analysis and Sport Climbing”, Journal of Behavioral Health and Medicine, 2010, with Dr. Richard Fleming). A self-professed “climber for life”, Eric remains active at the cliffs, traveling widely with his wife, Lisa, and sons, Cameron and Jonathan (both of whom climbed 5.14a/8b+ at age 11). Driven by his passion for adventure and challenge, he has established over 400 first ascents, primarily on his home cliffs in the Eastern states. Still pushing his personal climbing limits at age 55, Eric’s focus is now on R & D of new training techniques, traveling and sharing his knowledge with new climbers, and coaching the next generation of elite climbers. 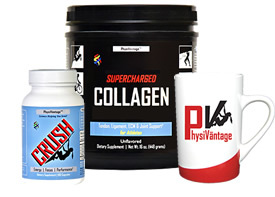 In January 2019, Eric founded PhysiVāntage—research-based supplements for climbers. Learn more at www.PhysiVantage.com. View a complete publishing history of Eric’s books and magazine articles. Eric’s “Training for Climbing” podcasts on iTunes. Editorial requests for interviews, articles, or photos please email: Power(at)TrainingForClimbing(dot)com.